In September, 2017, I was lucky to travel to Cambodia to help work on its new Environmental Code assisting with land use and sustainability issues. On Thursday, September 28, 2018, there will be a free webinar about the code process. This was an extraordinary experience for me even in my small capacity. I think folks interested in comparative environmental and land use law would enjoy the webinar, which features several of the major consultants on the project. Details below from the flyer. Can you name a well-functioning Planning / Zoning Commission or similar board? I am working on a project and trying to find examples of well-functioning, respected administrative bodies that make decisions on land use permits. Can you name any? These bodies could be planning or zoning commissions, land use appeals bodies, boards of adjustment, or whatever your local community calls their land use administrative decisionmakers. My interest is particularly in those bodies that are appointed by a local government and not staffed by professionals but by volunteers (or modestly paid citizens), but I would also be interested in any other recommendations, too. "Well-functioning" is admittedly a broad term, but right now I am looking for examples where these bodies have engendered respect for their work and decisonmaking, regardless of why or how. I welcome any thoughts. 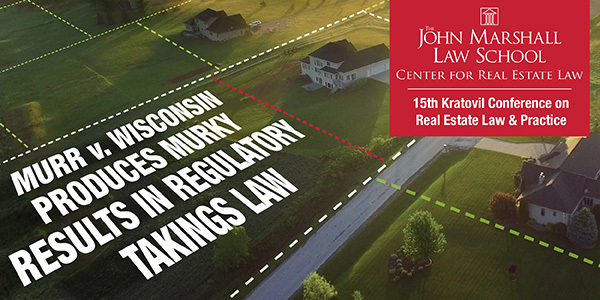 What does the recent U.S. Supreme Court regulatory-takings decision in Murr v. Wisconsin mean for the real estate industry, its attorneys, landowners, and local government? Before the opinion was issued, both sides in the Murr case had sought guidance on how to define the “property” that is the subject of a claimed regulatory taking. Now that the court has spoken, many argue that it continues the muddled analysis of the line of regulatory-takings cases that preceded it, rather than clarifying the tests to be applied. Hear those who were among the lawyers writing the briefs and arguing before the U.S. Supreme Court on the Advocates Panel. This group of attorneys and scholars will explain the public policy issues and significance of the decision in regulatory takings law. Our Practitioner/Industry Panel will look at the decision in the context of commercial real estate transactions. What are the lessons from the case? How can real estate owners, with the help of their attorneys, potentially avoid some of the adverse impacts of this case? Join us as we explore what this opinion will mean for the future of regulatory takings and the property rights of landowners. The Kratovil Conference on Real Estate Law & Practice (the “Kratovil”) was established in 1994 to honor the memory of Robert Kratovil, the Dean of the Chicago’s real estate attorneys who served as Chicago Title’s Chief Underwriter before ending his career as a member of The John Marshall Law School’s faculty. The Kratovil Conference has been important in the Center’s mission of research and scholarship about the field, bringing together leading scholars, practitioners, and industry professionals to consider cutting-edge issues important to commercial real estate attorneys, their clients, and our society. Rachelle Alterman (Technion - Israel Inst. 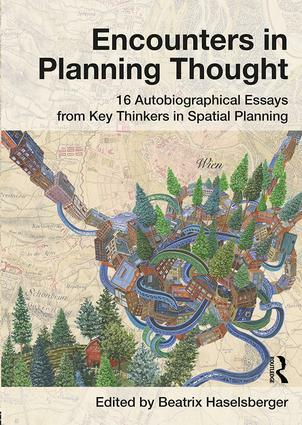 of Tech) has recently published a book chapter entitled "Planners' Beacon, Compass and Scale: Linking Planning Theory, Implementation Analysis and Planning Law," which is included in the new book from Routledge edited by Beatrix Haselsberger, Encounters in Planning Thought: 16 Autobiographical Essays from Key Thinkers in Spatial Planning. 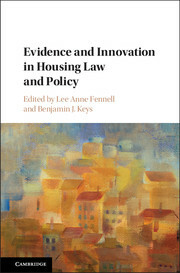 A new collection of essays, Evidence and Innovation in Housing Law and Policy, edited by Lee Anne Fennell (U Chicago Law) and Benjamin J. Keys (Wharton, U Penn) and published by Cambridge University Press, was just made available through Cambridge UP's open access portal. The book's contents are freely available here. Contributors include: William A. Fischel, David Schleicher, Richard A. Epstein, Ingrid Gould Ellen, Brian J. McCabe, Lior Jacob Strahilevitz, Georgette Chapman Phillips, Matthew Desmond, Stephanie M. Stern, Christopher Mayer, Ian Ayres, Gary Klein, Jeffrey West, Atif Mian, Amir Sufi, Patricia A. McCoy, Susan Wachter, Raphael W. Bostic, Anthony W. Orlando.